Wednesday, 1 March 2017. Our LCA Community Meeting brought 12 of our families together, along with board members and teachers, for an evening of news, good food, and camaraderie. The students had fun before we set up the dinner. 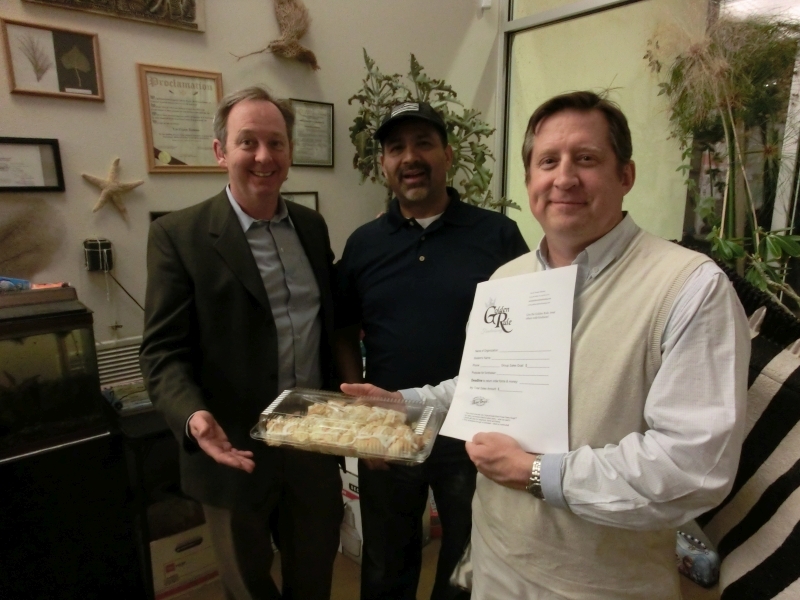 One item, among the many we discussed, was a fundraiser, selling Butter Braids – here Parent Committee president Ken Haubner holds a sample while Paul Bowman, PC member (left) and LCA parent Andy Chavez look on, recalling how good those samples tasted.